Politician, first state governor. Republican. Born: July 21, 1818, Hardwick, Massachusetts. Married: Sara T. D. Lawrence, October 30, 1851. Died: August 17, 1894, Lawrence, Douglas County, Kansas. Served as first governor of Kansas from February 9, 1861, to January 12, 1863. Charles Robinson was Kansas' first state governor, serving from 1861 to 1863, and "an active and decisive participant" in the turbulent territorial history preceding statehood. Born in Massachusetts in 1818, Robinson taught school and practiced medicine there before striking out for the California gold fields in 1849. He served in the California House of Representatives but returned to Massachusetts in 1851. He married Sara T. D. Lawrence on October 30, 1851. In 1854 he headed the New England Emigrant Aid Company's first colony to Kansas Territory. This group of emigrants, and many others who followed, were interested in financial opportunities, but they also sought to make Kansas a free state. Robinson established the company's headquarters in Lawrence, which became the focal point of free-state activity. They group held its first meeting December 23, 1854, in Lawrence. Robinson's cool, detached leadership provided a stabilizing influence on the Free-State party. He was elected governor of Kansas Territory under the "illegal" Topeka Constitution in 1856, and then the state's first governor under the Wyandotte Constitution in 1859. Robinson took office just two months before the outbreak of the Civil War. He was preoccupied with wartime concerns, as well as the machinations of his chief rival, the volatile and flamboyant James H. Lane, during his single term of office. This bitter rivalry culminated in impeachment proceedings against the governor, Secretary of State J. W. Robinson, and State Auditor George S. Hillyer. Robinson ultimately was acquitted of all charges, but the other two executive officers were convicted and removed from office. Despite these political difficulties, one early biographer heralded Robinson "as the strongest character in the history of the State. . . . Under his leadership the battle was won for the North, Kansas entered the Union a Free State, and the prestige of the South was crushed and broken forever." He served as president of the Kansas Historical Society from 1879 to 1880. 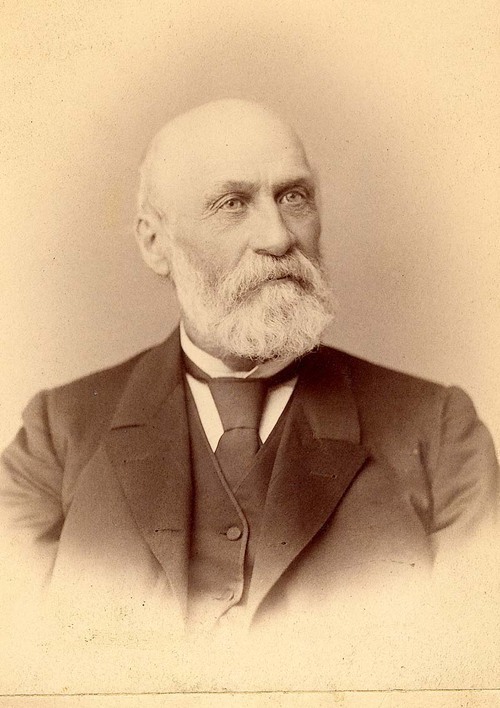 Robinson's remained active in Kansas affairs until his death at age 76 on August 17, 1894. Author information: The Kansas Historical Society is a state agency charged with actively safeguarding and sharing the state's history. The author of this article is solely responsible for its content. Our online collections contain more than 500,000 images of photos, documents, and artifacts, which grows daily. Find your story in Kansas through this rich resource! Our newest article is Lon Frahm.